All Brand New Sparkling duplex has a total of 6 bedrooms and 6 bathrooms. 16 people can be comfortably accommodated. Extra large 45 foot Pool and spacious Yard. Located just 2 miles to Hollywood Beach Boardwalk where you can enjoy nightlife and live music 7 nights a week. Hollywood has a Stunning wide white sand beach that goes for miles. Also close to Downtown Hollywood and shopping. Home is completely equipped for every necessity. 2 Gas Grills for outdoor cooking and plenty of seatingfor dining and lounging around your 45 foot heated pool. There are 4 King size beds and 2 queen beds and 2 queen sofa beds. Every room has a TV with Premium cable and FREE WIFI. 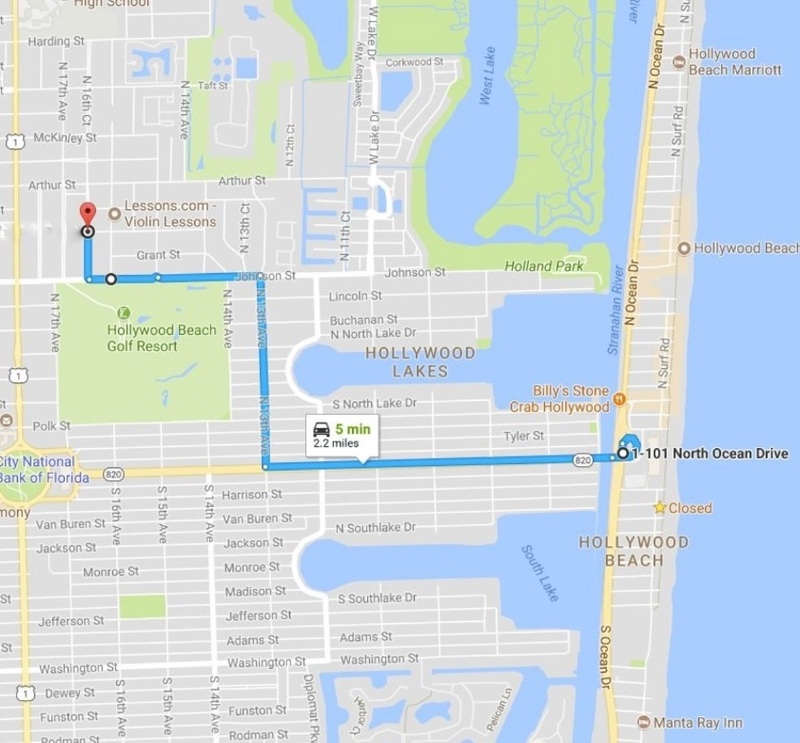 Conveniently located near everything Hollywood and the Beach has to offer in South Florida. Hang out Jimmy Buffet's Margaretaville Resort open to the public and the Bandshell directly on the Boardwalk where there is live music every night. Eat at one of many restaurants located on the beach, oceanfront, open year round for breakfast lunch and dinner, the Hollywood Beach lifestyle can't be beat. Rent a bicycle for the hour, day or week and enjoy a scenic ride along the newly renovated oceanfront Broadwalk, Hollywood's 2.5 mile pedestrian promenade framed by charming cafes, restaurants and shops as well as boutique hotels, resorts and quaint seaside inns and bed and breakfasts. Hop on the trolley to the ArtsPark in Downtown Hollywood to catch a glass blowing demonstration and listen to the singing baobab tree followed by some time spent in the children's play with an interactive fountain delighting the kids with playful bursts of water and an innovative playground designed to stimulate creativity. Beach chairs and beach towels are provided at the house. Air beds, Pac & Plays and High Chairs available on request, no extra charge. Rent from a Professional Vacation Rental Manager for the ultimate vacation experience, ValGal Vacation Rentals with 10 years experience in the area. We are available 24/7 for any needs. You can see many of our listings available for rent at www.valgal.net.